welcome jals photography is an Ontario based photographer specializing in outdoor weddings, intimate weddings and elopements. My clients receive joyful and candid professional photographs that showcase genuine connection and the beautiful great outdoors. I am a visual storyteller that is inspired by nature and human connection. I am passionate about delivering high-quality photographs that showcase beautiful locations and real-emotion. If you are looking for a wedding experience that is "just you", elopements and intimate weddings are a perfection option. Larger weddings are about the couple, but are also about preparing for the needs and opinions of all of their guests. If that is not the style of day that fits you as a couple, an elopement can be an intimate and authentic way of getting married. Your dream wedding can be anything you want it to be, and my role as your elopement and intimate wedding photographer is to document it to its fullest! Before your elopement or intimate wedding, I work with you to help plan the timeline for the day. We discuss your goals for photography, your VIPs and must have moments that you would like captured. The day ofÂ yourÂ ceremony, I am a "fly on the wall", capturing moments as they unfold. If you have family joining you for your elopement, I take a few formal photographs as keepsakes, and that's it for traditional photography. My posing is not posing at all, but prompts to help my couples open-up, have fun, and showcase the unique elements of their relationship. After your celebration, I am hard at work curating a beautiful story of your day. Upon delivery of your photographs, I work with you to create a beautiful heirloom album. Ultimately, my goal as a photographer is to capture the big moments and all the little moments in-between that will help you fully remember the day you made this commitment to each other. Please read more about how I can provide you a stellar photography experience! The day you get married is your wedding day, regardless of how many guests you have in attendance. Your day deserves full documentation of all of the moments that take place the day of your elopement. I believe that elopements and intimate weddings provide couples with a unique opportunity to commit to each other in a raw, emotion-filled way. If being outdoors, exploring together and seeking out adventure defines you as a couple, then your wedding should represent that too. Let me help you plan the perfect elopement or intimate wedding close to home or as an exotic getaway. If you like hiking and adventure, full-day coverage is enough time to include an 8 km hike, or visiting multiple locations. Your full-day coverage includes emotion-filled, candid photography of your dream day from start to finish. $1,950 ADDITIONAL TIME: $200/HR TRAVEL: The above fee includes travel of 80 km from Belleville or Toronto. For destination elopements and intimate weddings in Ontario, there is surcharge of $400 to cover my time away, meals, hotel, and land transportation. For destination elopements and intimate weddings in Canada, there is a surcharge of $1,100 to cover my time away, meals, hotel and air transportation. I book my own flight and accommodations to ensure maximum flexibility to best fit my schedule and your needs! For destination elopements and intimate weddings abroad, a custom quote is created based on location and time of year. $1,300 ADDITIONAL TIME: $250/HR TRAVEL: The above fee includes travel of 80 km from Belleville or Toronto. For destination elopements and intimate weddings in Ontario, there is surcharge of $400 to cover my time away, meals, hotel, and land transportation. For destination elopements and intimate weddings in Canada, there is a surcharge of $1,100 to cover my time away, meals, hotel and air transportation. I book my own flight and accommodations to ensure maximum flexibility to best fit my schedule and your needs! For destination elopements and intimate weddings abroad, a custom quote is created based on location and time of year. y n o m e r e c e g a r e v co If you truly only want ceremony coverage of your wedding day, jals photography offers a three hour package on weekdays and in off-peak season. Intimate weddings are perfect for those who want to be surrounded by loved ones on their wedding day, but do not want a large amount of attention. Â There are so many options for intimate weddings, especially in the Ontario area. You can find a quiet spot on the beach or in the forest. 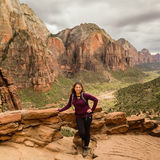 You will be with your nearest and dearest to celebrate you, your love for the outdoors, and your connection to everyone around you. My intimate wedding coverage includes the ceremony, portraits of you both in a beautiful outdoor setting, and some mingling with your guests. $900 ADDITIONAL TIME: $250/HR TRAVEL: The above fee includes travel of 80 km from Belleville or Toronto. For destination elopements and intimate weddings in Ontario, there is surcharge of $400 to cover my time away, meals, hotel, and land transportation. For destination elopements and intimate weddings in Canada, there is a surcharge of $1,100 to cover my time away, meals, hotel and air transportation. I book my own flight and accommodations to ensure maximum flexibility to best fit my schedule and your needs! For destination elopements and intimate weddings abroad, a custom quote is created based on location and time of year. PUTTING MOMENTS FIRST The most important part of your wedding day is the lived experience. Coverage with jals photography is designed to compliment your day and capture moments, not take away from them! I have photographed couples in all outdoor conditions - rain, snow, bright sun at noon, a wind storm, sunset, night time, and more! You want a photographer who can roll with the environment and still provide you with stellar images! CONNECTION WITH COUPLES There is no "one size fits all" in photography. Your images will look like YOU. Each photo session is personalized to fit who you are as a couple. With bright, true-to life colour editing, your photographs look just the way you remember the moment! planning tips 1) Choose a location that is special to you! It can be a traditional venue, a cottage, on the beach, in the forest, at the top of a mountain anything goes! If it's a place where you and your partner feel a spark and excitement talking about it, you've found the right place. 3) Think about the details you would like for your wedding day. If there are traditional elements you love, include those, too! Flowers, rings, non-religious and religious rituals can all be a part of your day. Pro-tip: Write your own vows! You won't regret it! 2) Find yourself vendors who really understand the elopement and intimate wedding experience. Your elopement or intimate wedding day is so much more than a quick exchange of vows. Make sure that your vendors show you that they care! 4)Â Celebrate! Celebrate the fact that you decided to make your wedding day uniquely yours. There can be a lot of pressure to have a large traditional wedding, but it is so freeing to celebrate your commitment to each other in just the way you want it! albums Give yourself the gift of heirloom quality albumsÂ provide you with a keepsake that can be passed down for generations. In the age of digital files, it is easy to get excited about photographs and quickly share them with family and friends. However, withÂ ever changing technology, I would be doing my clients a disservice if I did not provide them with a way to ensure that their images stand the test of time. Just think what would have happened if you had your wedding pictures on a floppy disk and never printed them! To make the process as seamless as possible, wedding albums are included with every jals photography wedding package. You select your favourite images once you receive your online gallery, and I work my magic to showcase your day.Â The albums are designed to tell the story of your wedding day and printed with a professional print house to ensure quality and durability. There are also gift album options for family members, ranging from mini "brag books" to larger "parent albums." I strongly believe in the value of printed albums and I know that you will be so overjoyed when you hold the album in your hands for the first time! FAQ How do we reserve our date? Once you know that you would like to go ahead with jals photography, I send over a contract for your review. Upon signing the contract, an invoice is sent over for a $300 deposit which secures your wedding date. jals photography books only one event per day. If you do not know your exact location yet, no worries! I would love to help you narrow down the perfect location. What if we don't have a location yet? If you would like to go ahead with booking, our contract will have a general location. I can then learn more about your goals for your elopement location (e.g. forest, beach, mountains) and help you narrow down the perfect spot. When do we receive our images? You receive a watermarked “sneak peek” of your images 2 days after your elopement. Your full wedding collection is completed and ready for download approximately 8 weeks after your wedding date. How many images do we receive? You receive approximately 100 images for each hour of coverage. Do you work from a shot list? I am alongside you throughout your wedding planning process, and before the elopement I ask you to fill out a questionnaire to provide me with specific details of your day. This helps me anticipate events and capture candid images of “VIPs.” We will discuss the best time of day for the formal photographs and make sure that photographs never detract from the flow of your day. ABOUT ME Jessica Lindsay-Sonkin I fell in love with adventure when I was young. Some of my favourite memories are hiking through the woods during outdoor summer camp at Greenwood Conservation Area in Durham. Sandbanks, Wasaga and Grand Bend were our family go-to summer destintations, where we could soak up the sunshine! I often think of how impactful those experiences were to me, and how they shaped who I am now. As an adult, I’ve most enjoyed exploring California, Jasper Natinal Park, BC, the red rocks of Nevada, Zion National Park and Iceland. I had a blast driving around the Isle of Skye and will never pass up a few days in the desert, like when I visited Joshua National Park. I am passionate about photographing outdoor weddings because I am inspired by the outdoors. Weddings are about marrying your favourite person and you should be able to do that in your favourite way. If you are passionate about the outdoors and adventure, I encourage you not to force yourself to fit into the traditional wedding mode. Plan your wedding with what inspires you. Your location, your guest count, and celebrating your connection with each other. If you come alive when you are outside, I would love to capture that feeling for your wedding photographs.